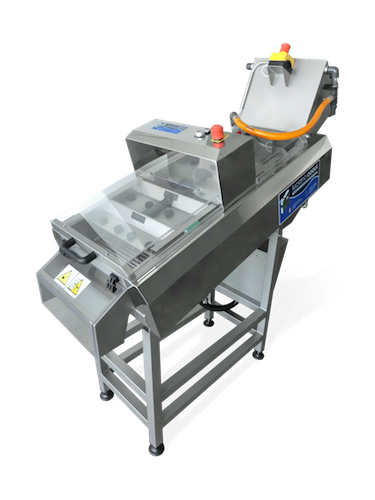 The debyssing machine (or debysser) cuts the byssus of the mussels near the edge of their shell, offering the maximum quality of cleaning of the product. Thanks to a set of specifically designed counter-rotating debyssing knurled rods and peculiar stiring and pressure washing systems, the byssus is not stipped away from the mussels, but it is gently cut at the surface of the valves of the shellfish. This allows the mussels to pass the process still alive and without stress, ready to be packed for the fresh market with an unaltered shelf-life. The vast experience gained by our company in the design and construction of debyssing machines makes them best choice on the market for ensuring a superb quality of debyssing in time, without breaking or damaging the processed mussels. Through a careful realization, the debyssing rods undergo a "self-cleaning" process, automatically avoiding the accumulation of byssus in between them. Differently from many other machines of this kind on the market, our debyssers are absolutely safe for the operators, thanks to our technologically advanced safety systems. Thanks to the possibility to open completely the debyssing plane, the cleaning process of the internal parts of the machine is an easy and fast labour, assuring shorter maintenance time and costs. Not all customers have the same productivity requirements: this is why we have developed two different models of debysser! 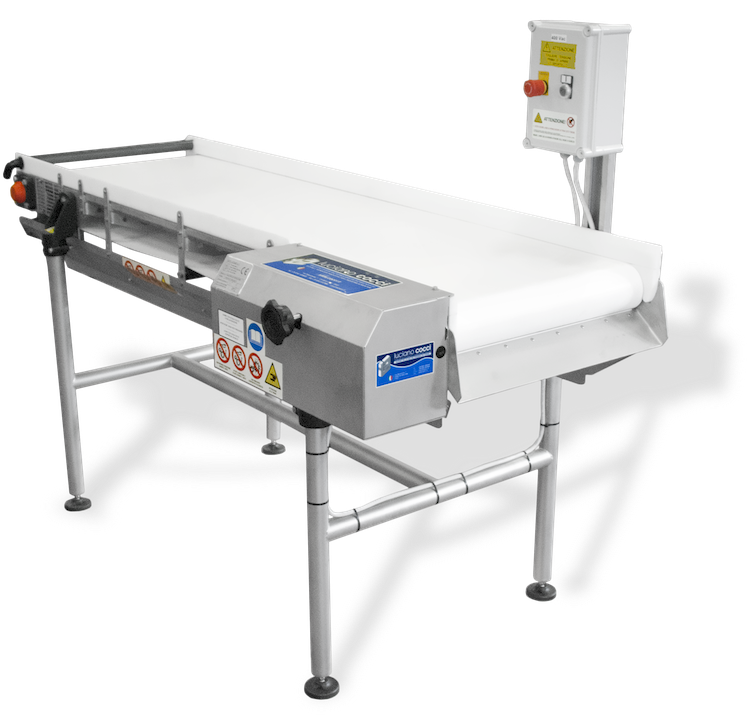 The SB 4 model is dedicated to large shipping centers and can work up to 2,000 kg of mussels per hour, and can therefore be part of an automatic packaging line without slowing down production. 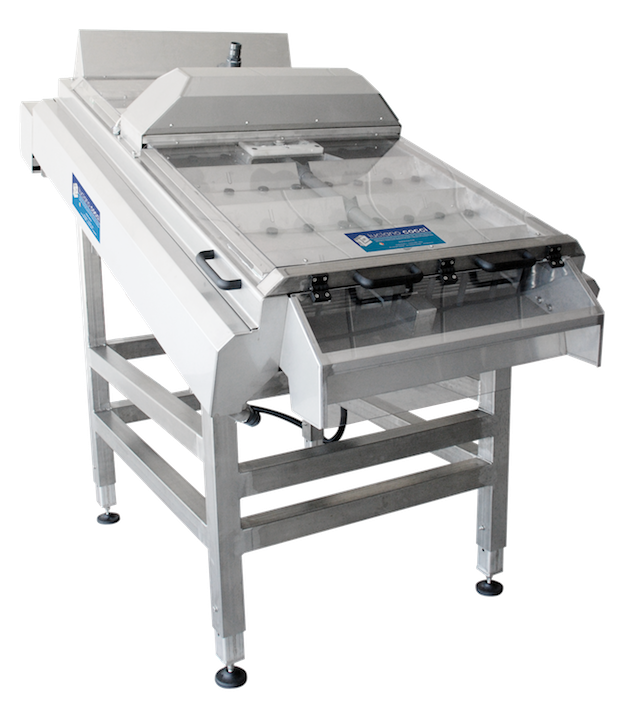 The SB 1 model is used by small centers, fishmongers and catering establishments, and although it has extremely small dimensions, it is able to cover up to 500 kg of mussels per hour. All our debyssing machines are provided of a simple mechanical regulation system, composed of a set of easily-accesible regulation screws, through which it is possible to adjust the debyssing strength to the hardiness of the product and to the normal usage wear of the knurled rods in time.